Feel free to serve sandwich-style, with Creamed Chicken in between waffles. For crisper waffles, add more milk; for softer, cushiony waffles, add more Bisquick mix. Cooked turkey can be used in place of chicken. 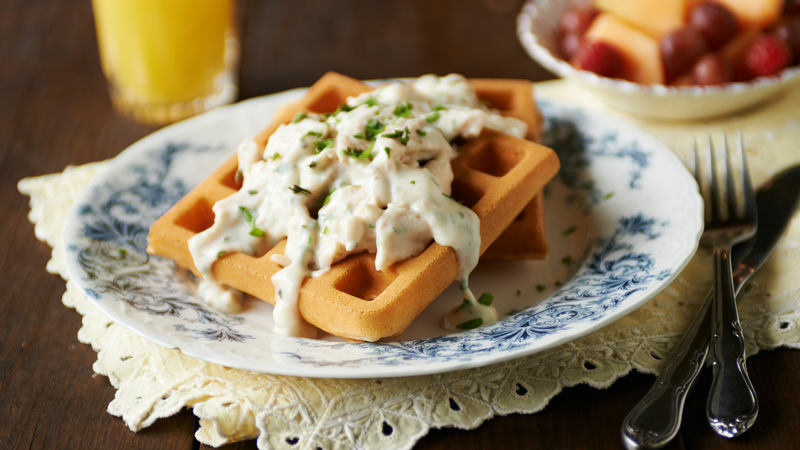 To make Curry Waffles Royal, add 1/4 to 1/2 teaspoon curry powder to Creamed Chicken, and 1/2 teaspoon curry powder to Waffle batter.